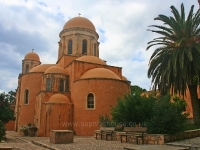 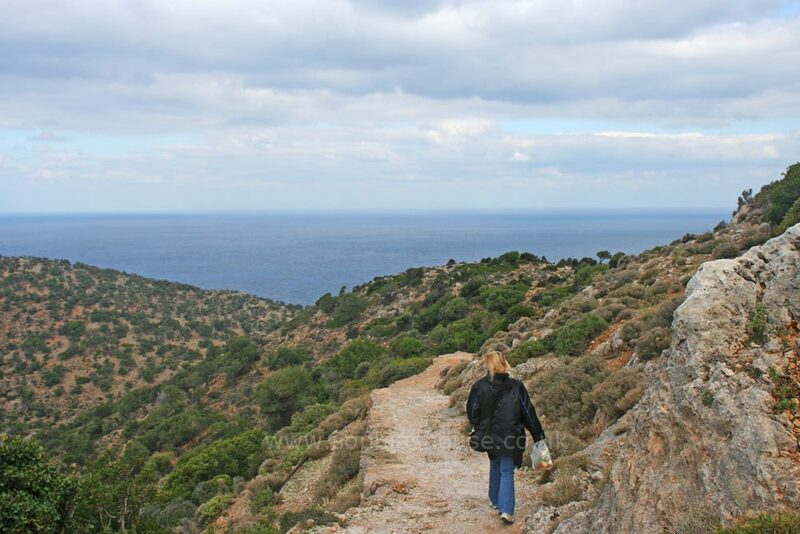 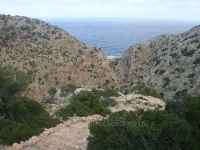 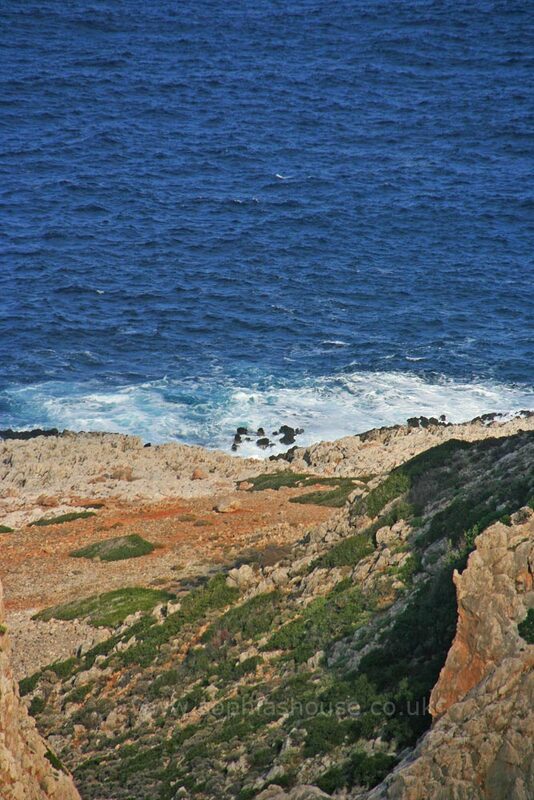 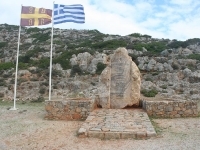 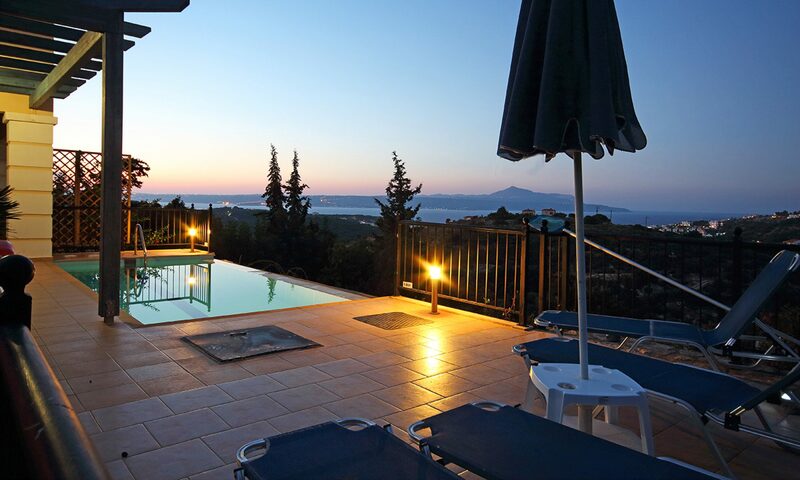 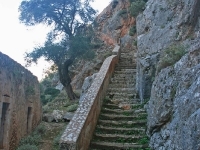 After leaving Agia Triada Monastery, continue along the road to Gouverneto Monastery, it s about 4Km along, the road twists and climbs through the rocky landscape and eventually reaches the parking area for Gouverneto Monastery. 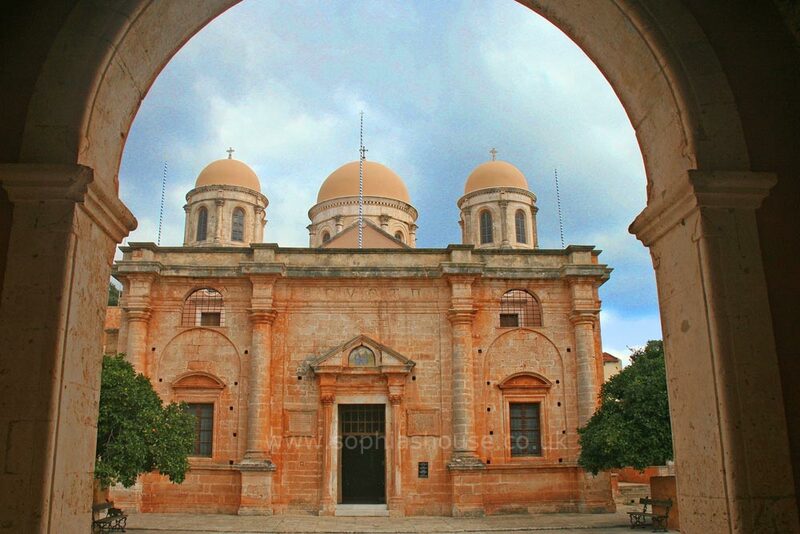 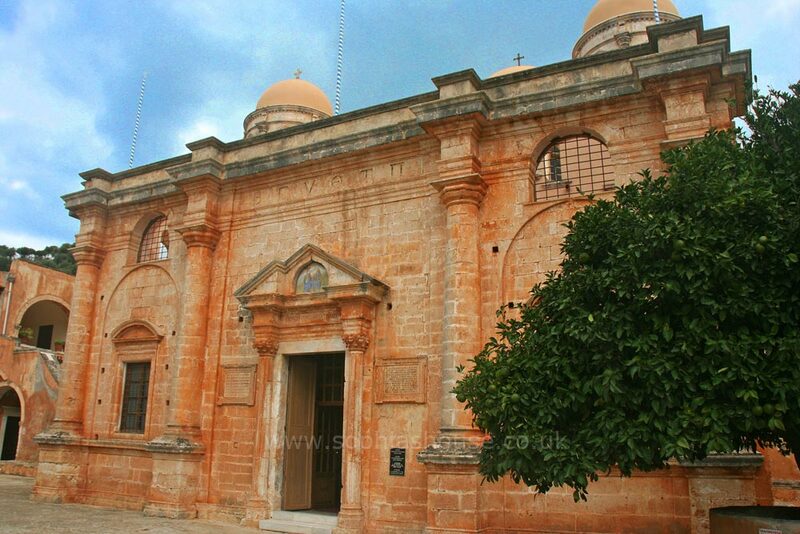 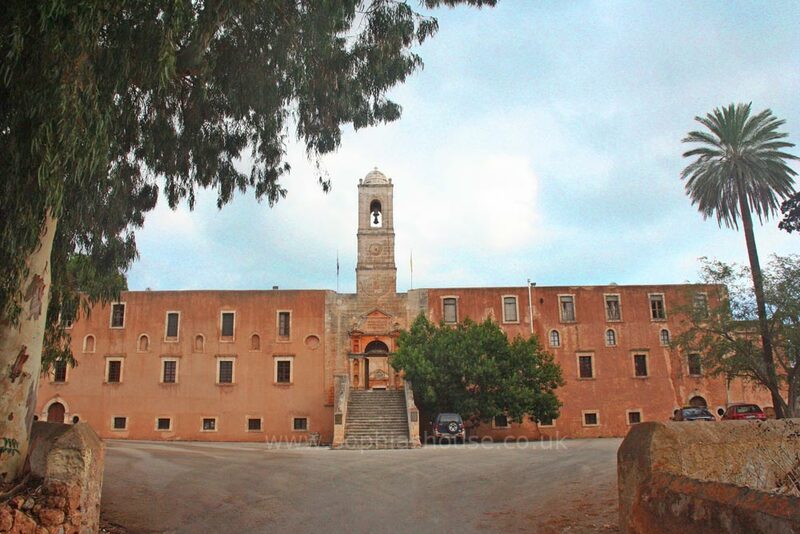 Gouverneto Monastery, Moni Gouvernetou dedicated to “Our Lady of Angels” was built in 1537 and is one of the oldest monasteries of Crete. 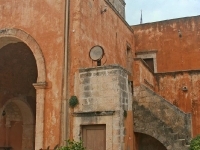 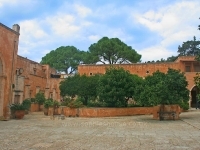 The monastery looks like a Venetian fortress, with its defence towers on each corner of the quadrangle, only two towers are intact, but the other two towers remains are visible from the courtyard. 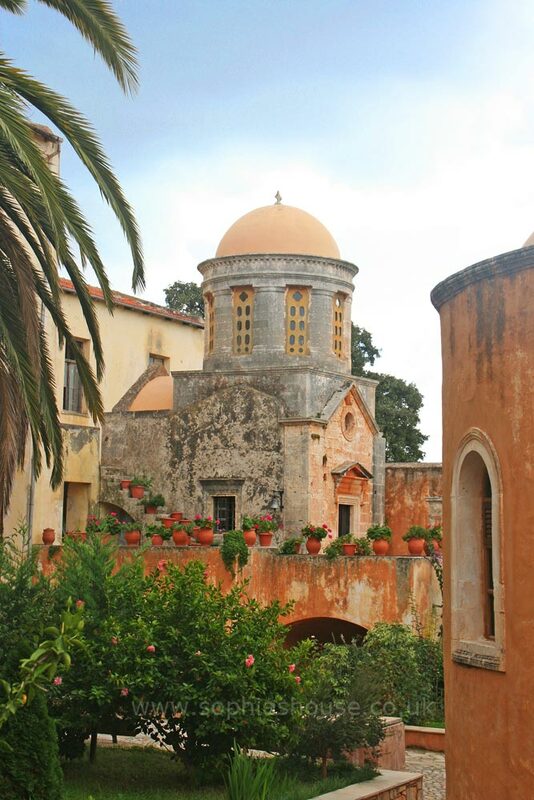 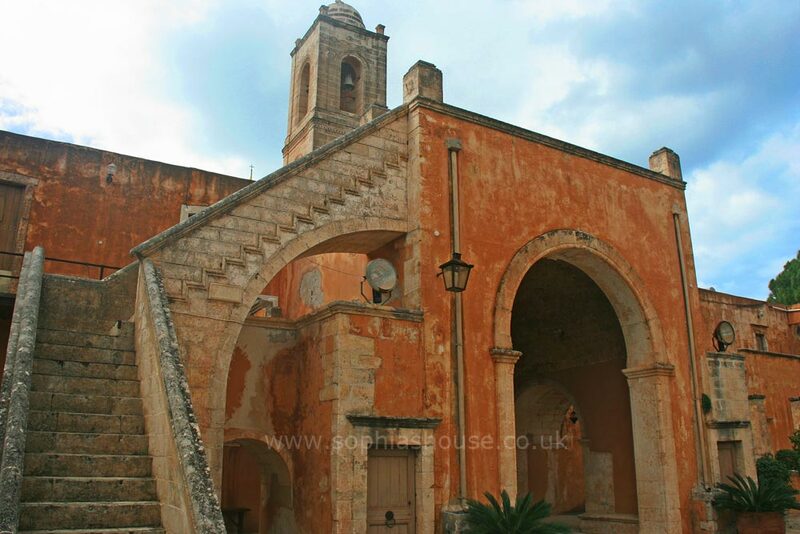 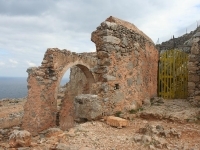 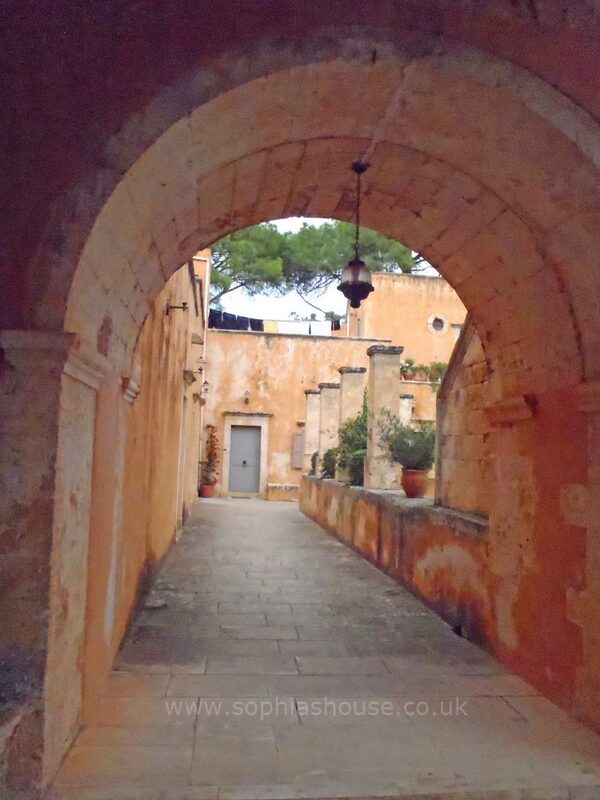 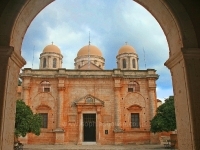 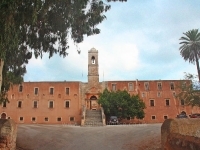 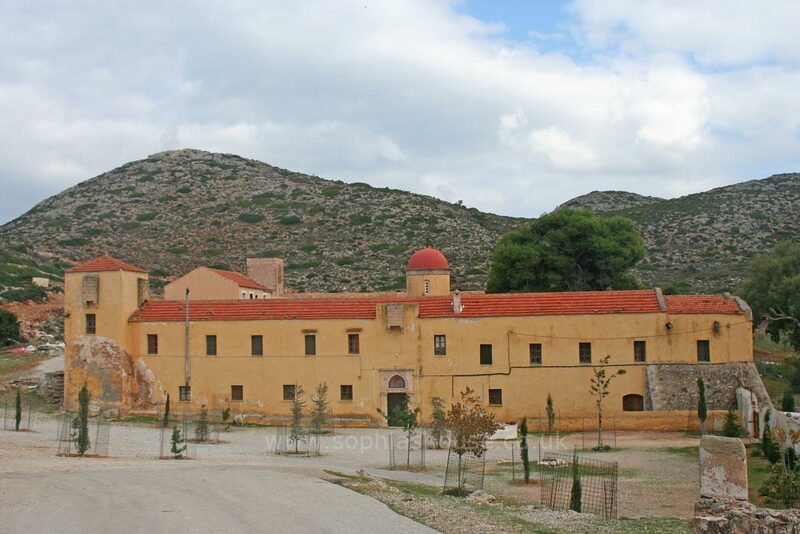 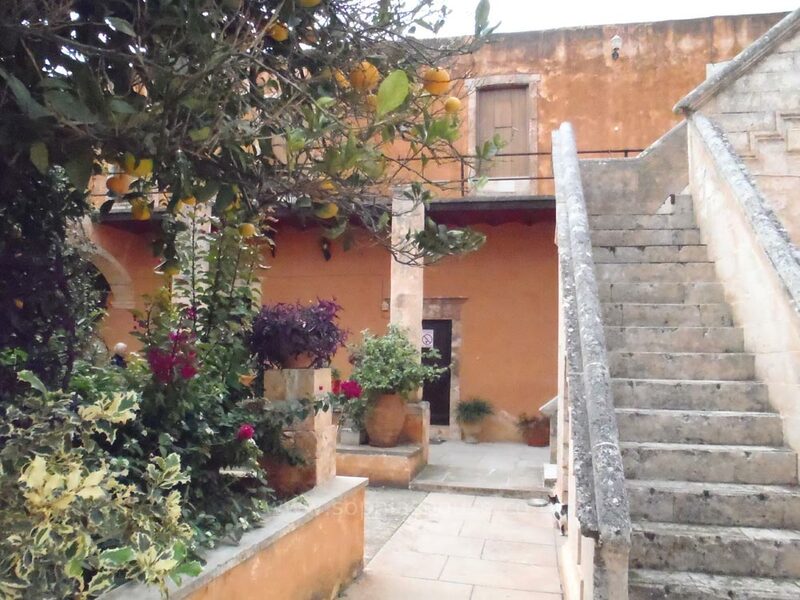 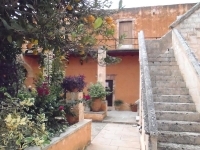 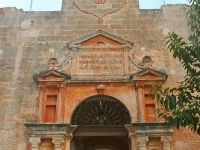 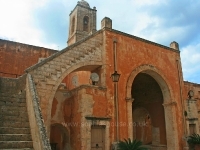 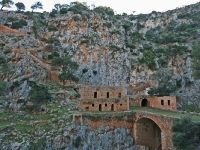 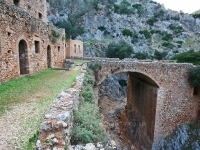 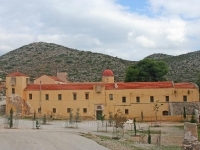 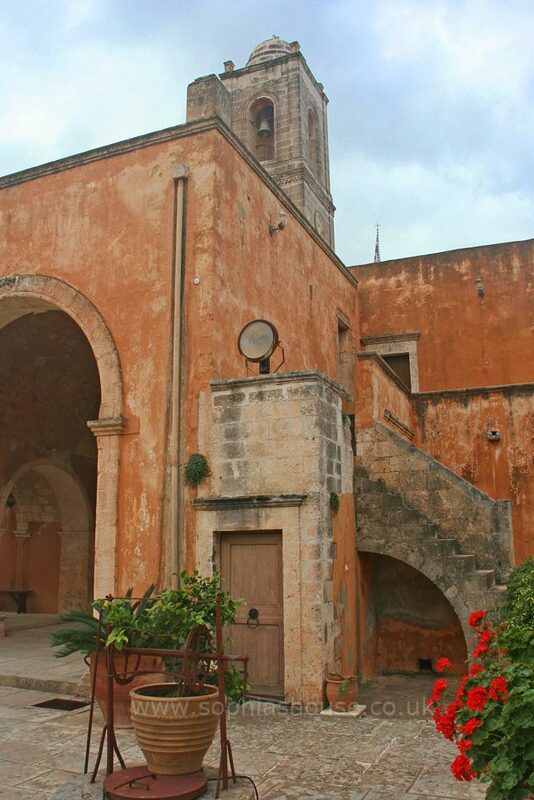 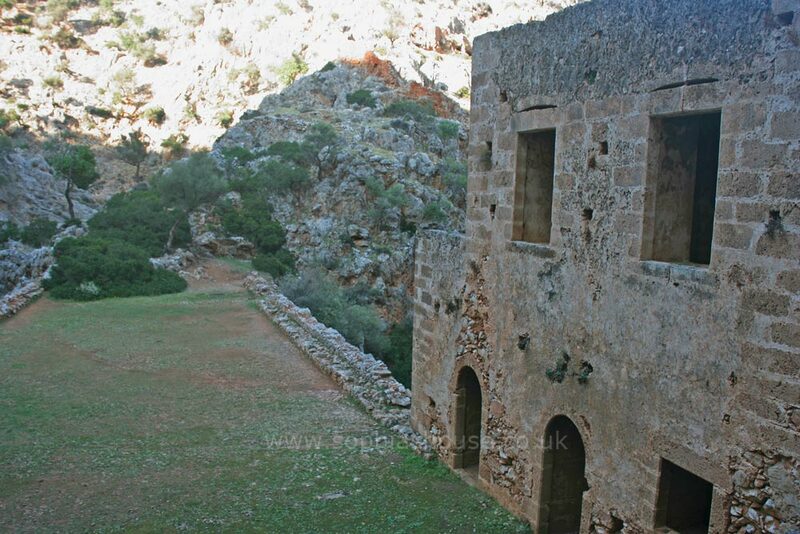 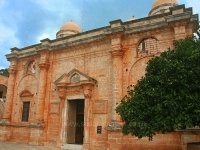 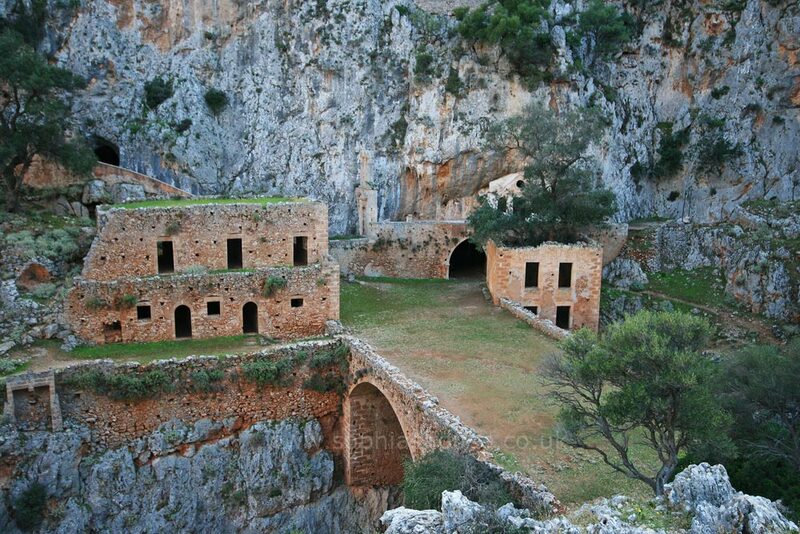 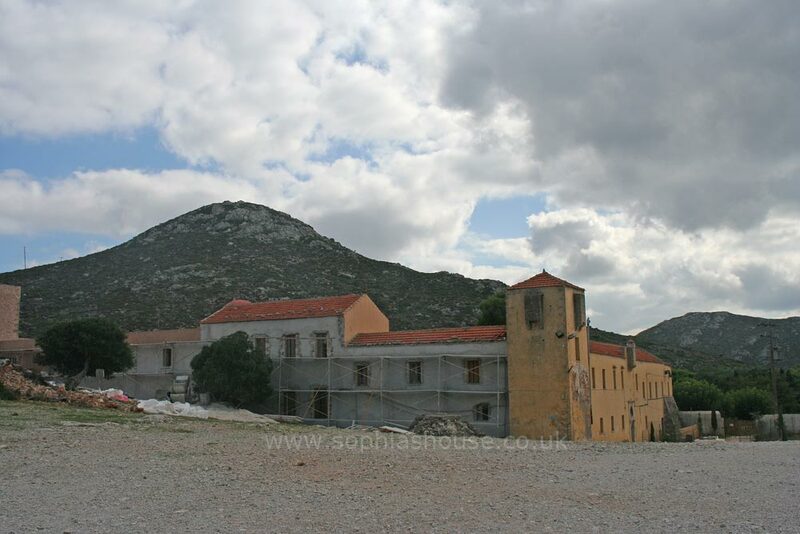 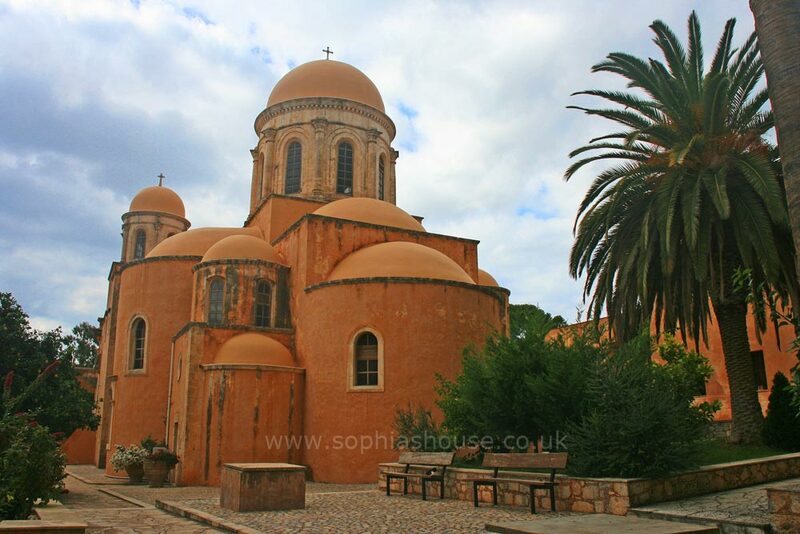 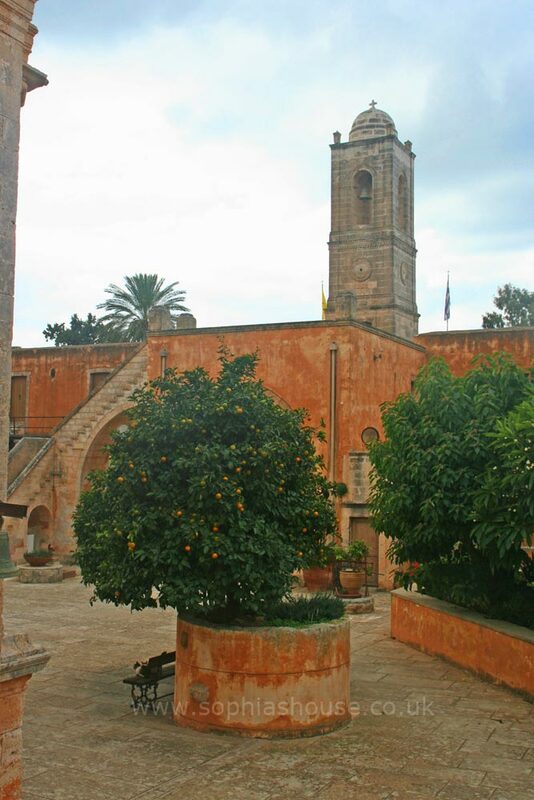 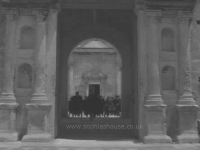 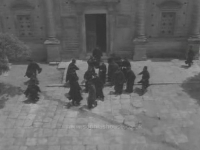 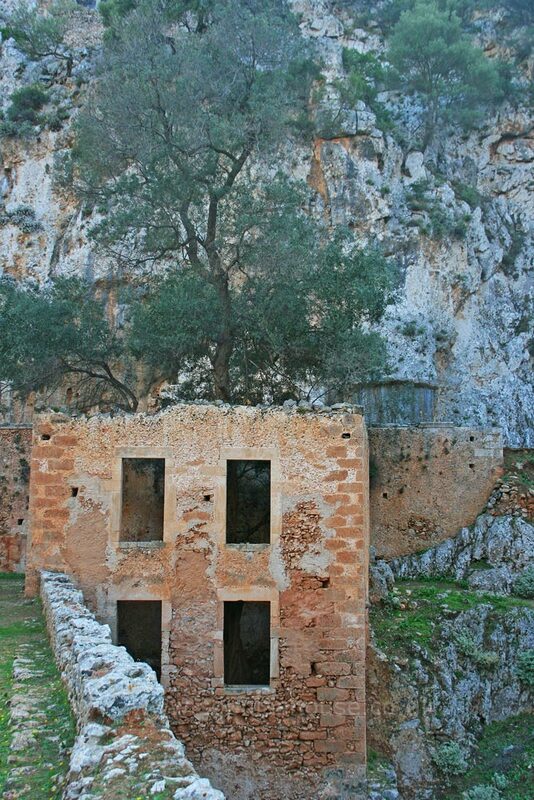 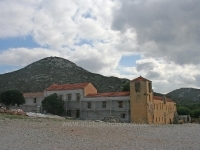 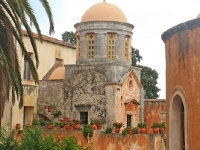 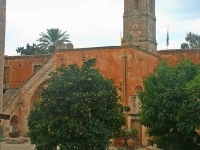 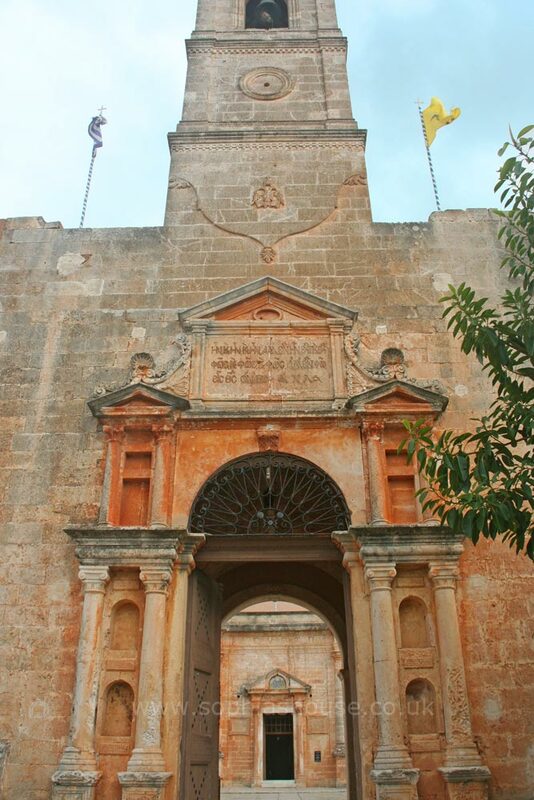 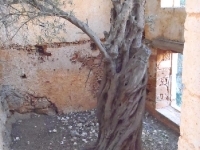 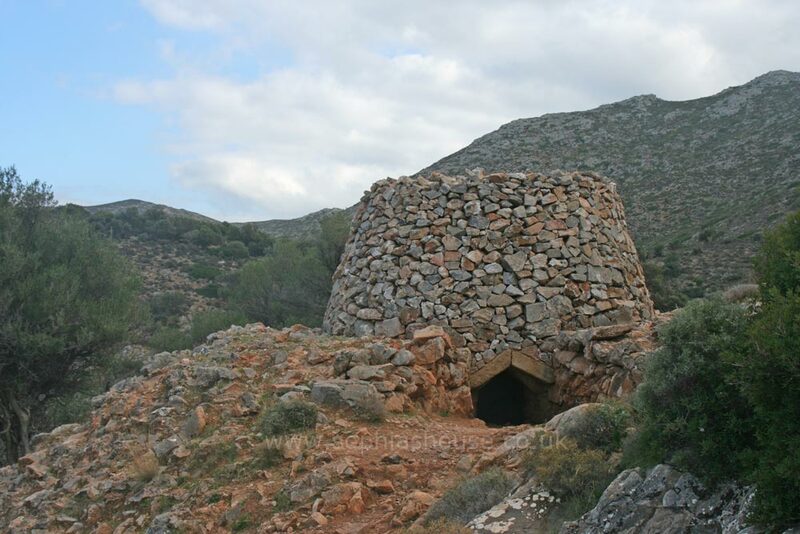 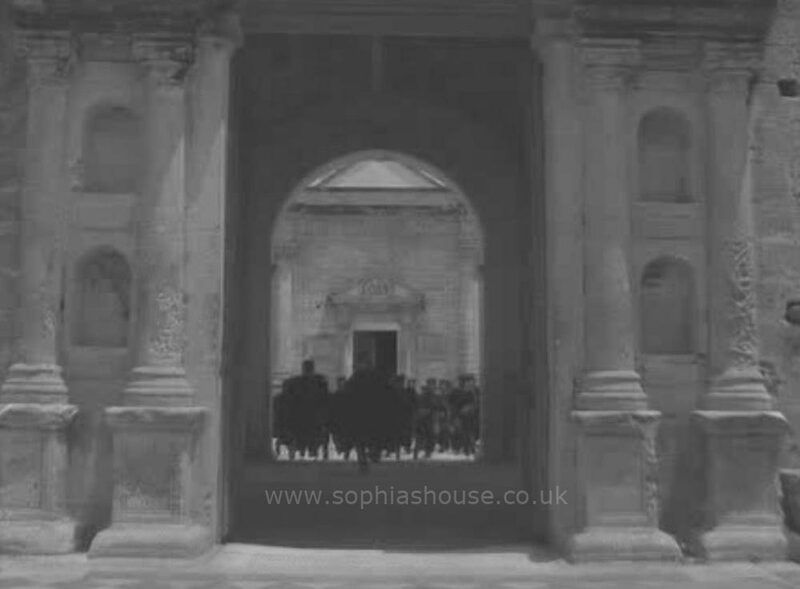 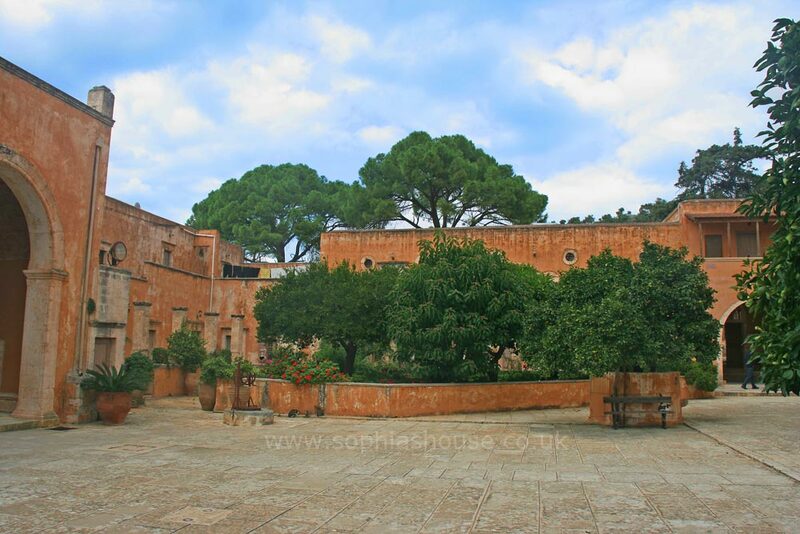 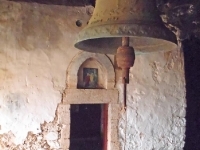 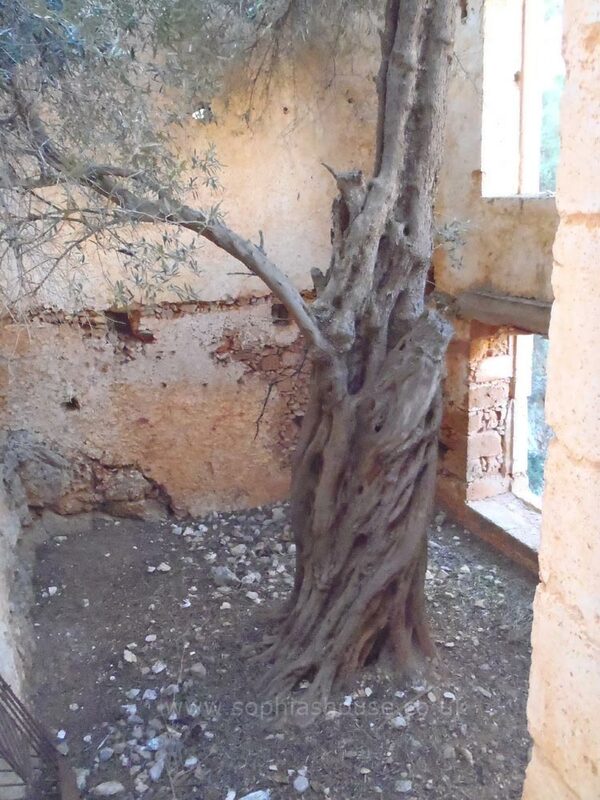 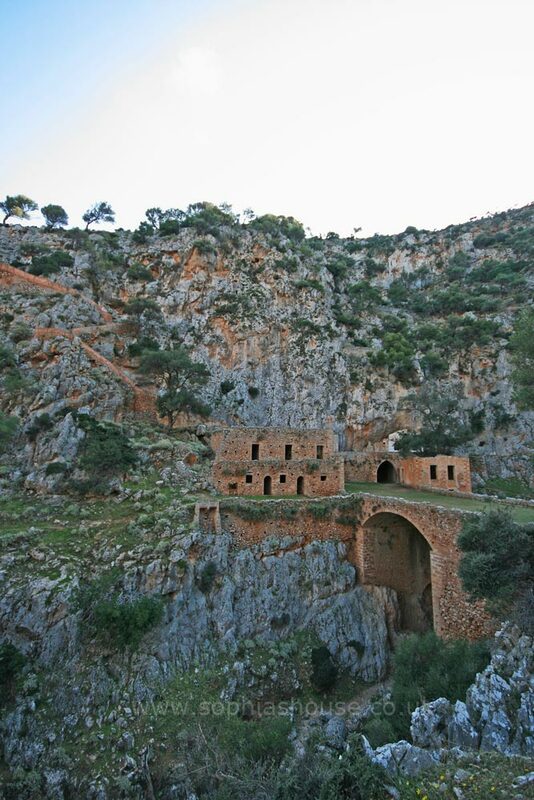 Germans used the monastery during WWII, setting up a guardhouse and controlling the surrounding areas, there were many encounters with the Cretan resistance. 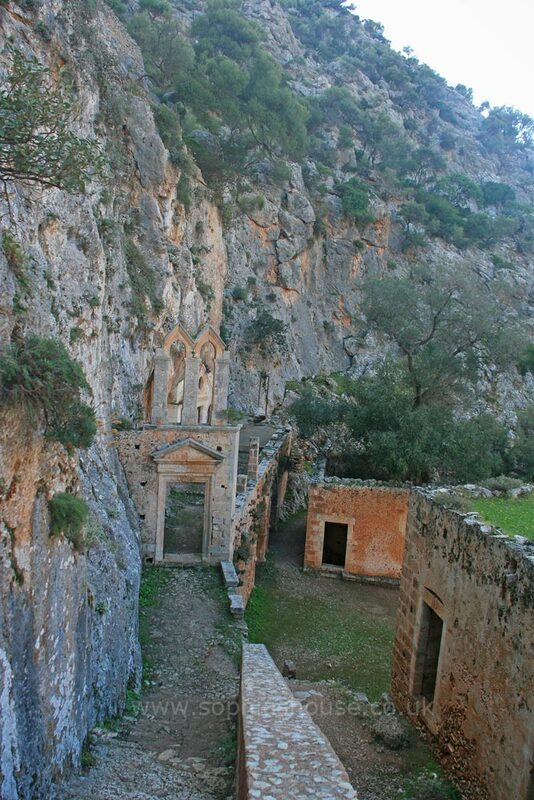 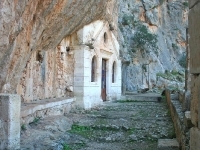 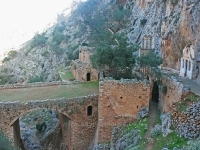 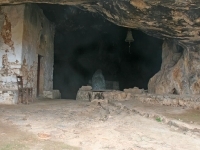 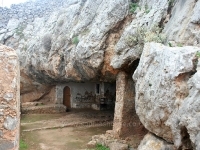 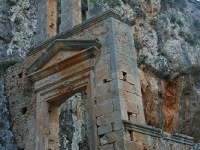 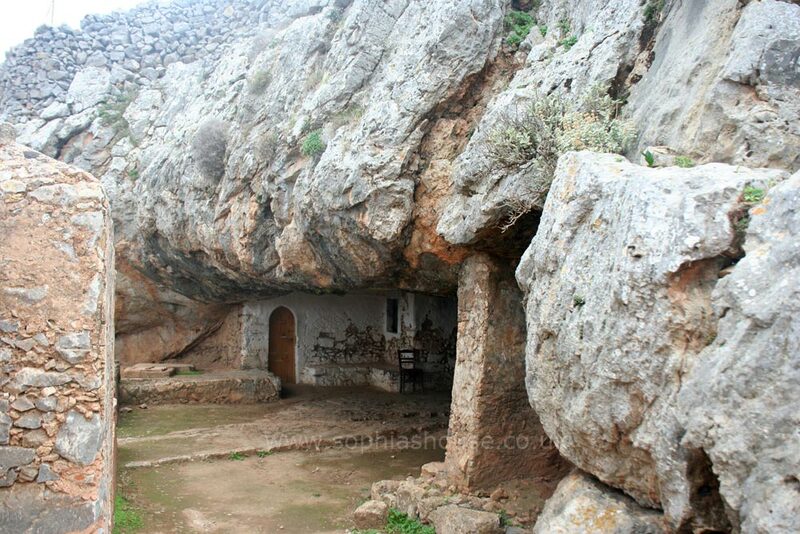 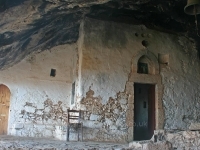 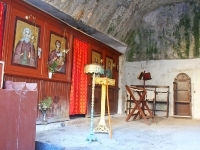 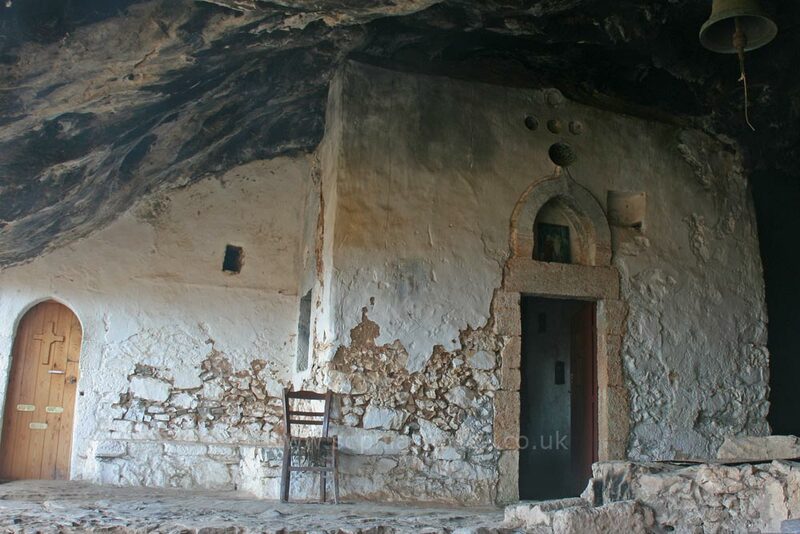 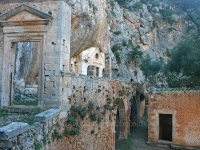 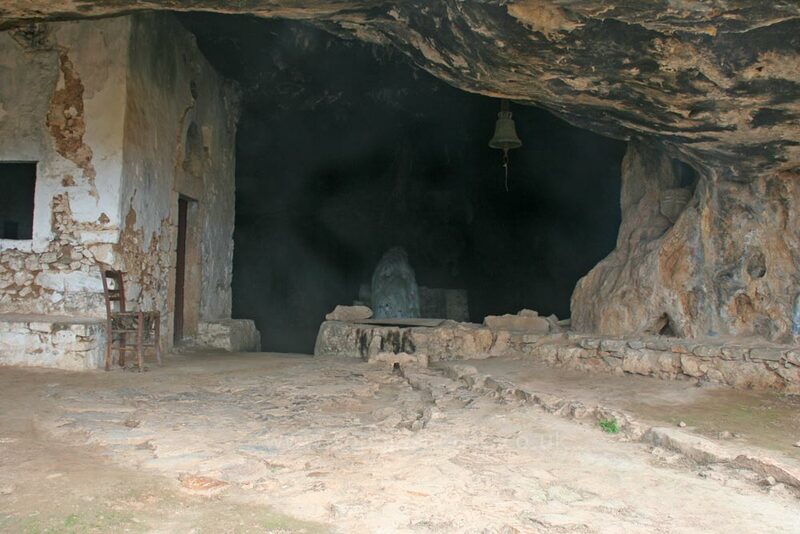 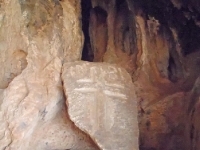 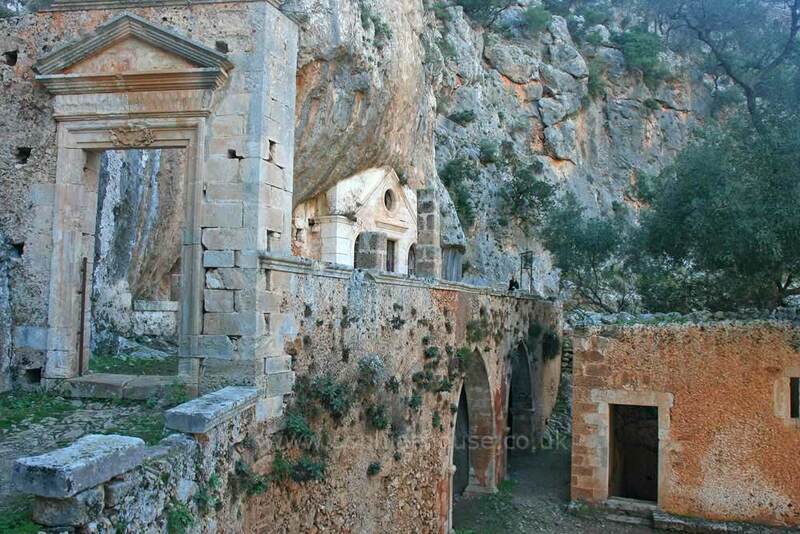 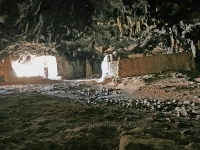 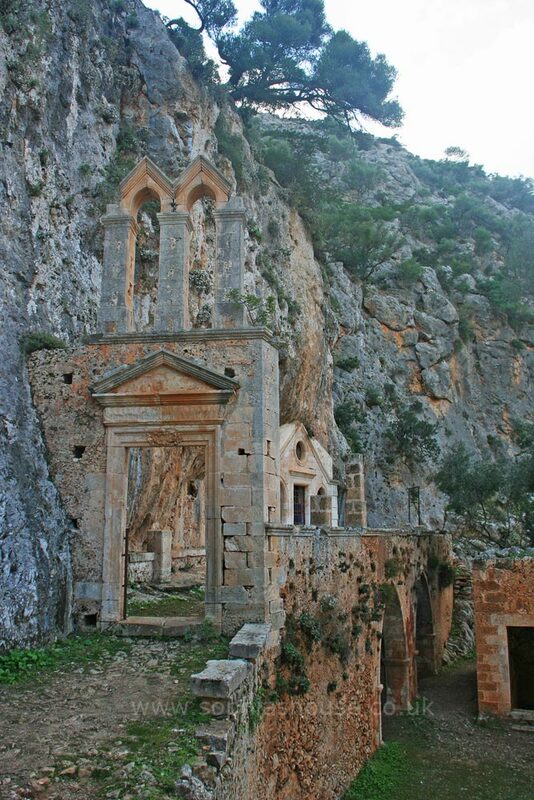 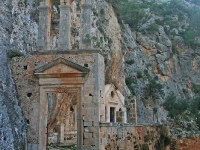 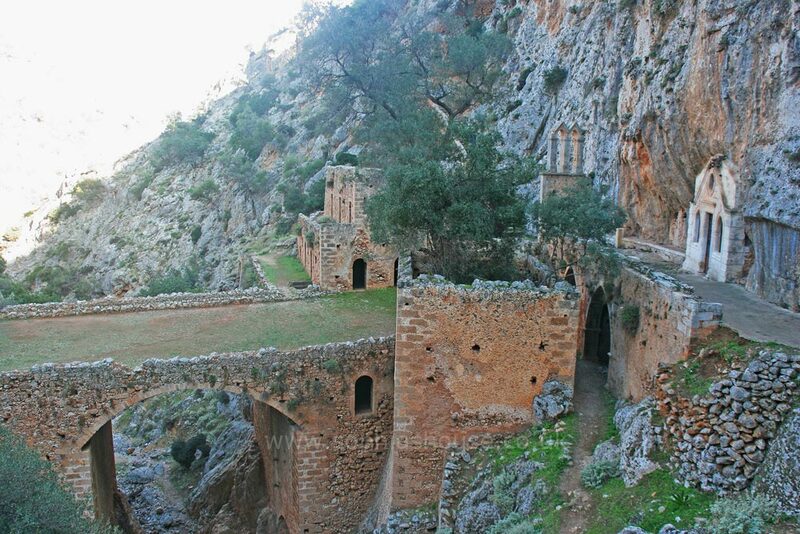 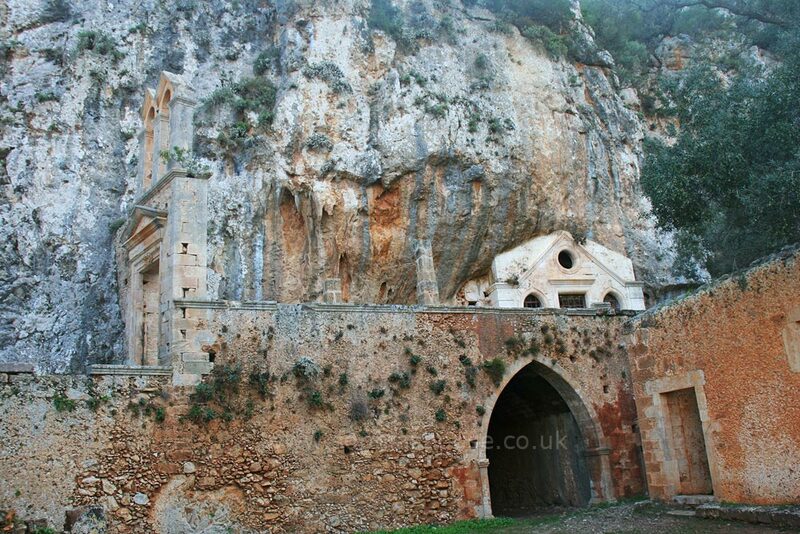 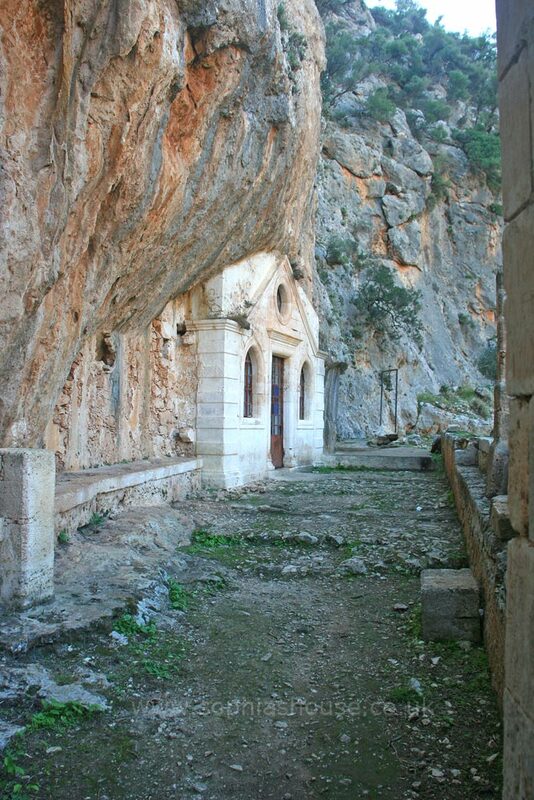 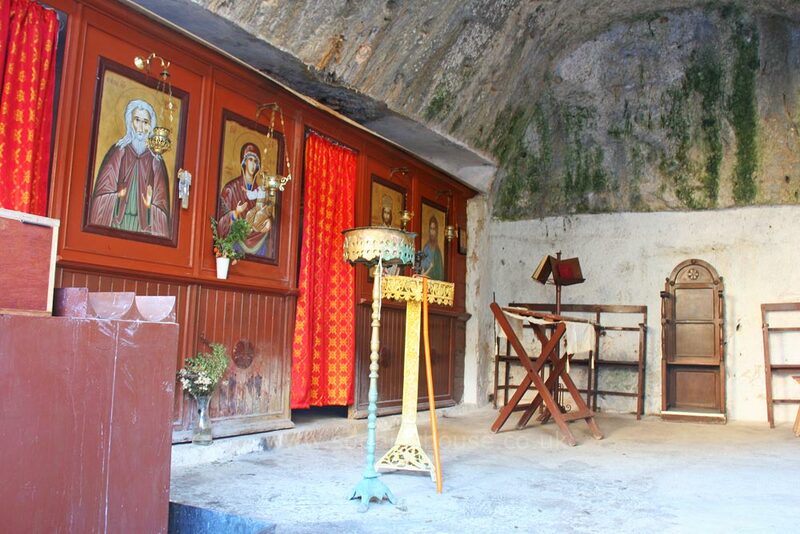 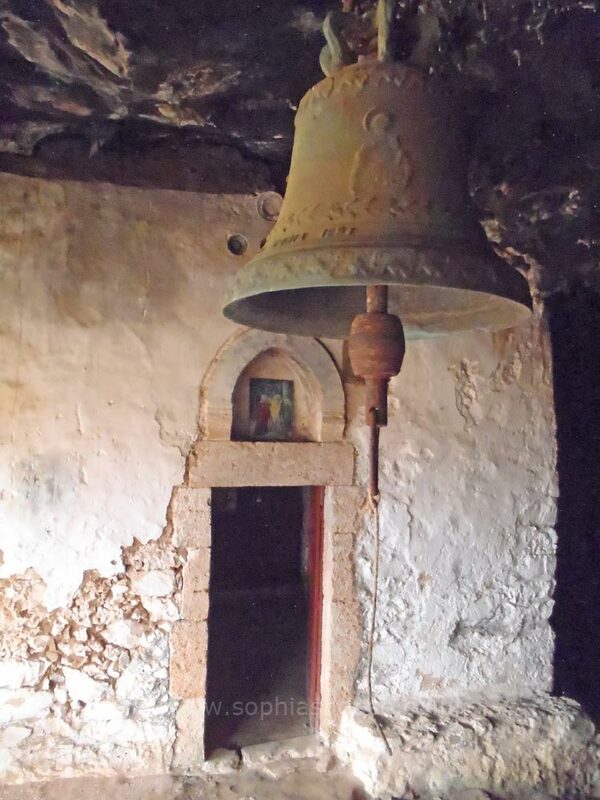 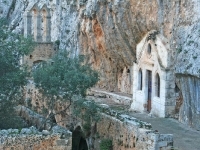 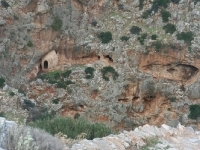 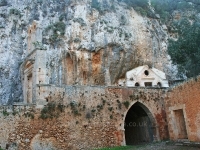 There is a small chapel dedicated to “St John the Hermit” who founded the Gouverneto Monastery, There is a cave further down the Avlaki gorge, (there is a path to the left of Gouverneto Monastery that leads to it). 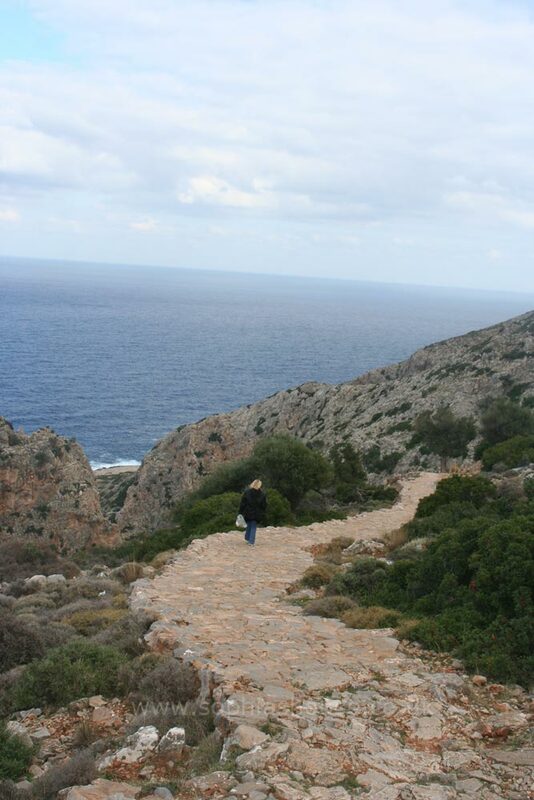 The Pathway is easy to walk down, just factor in time to make the assent back! 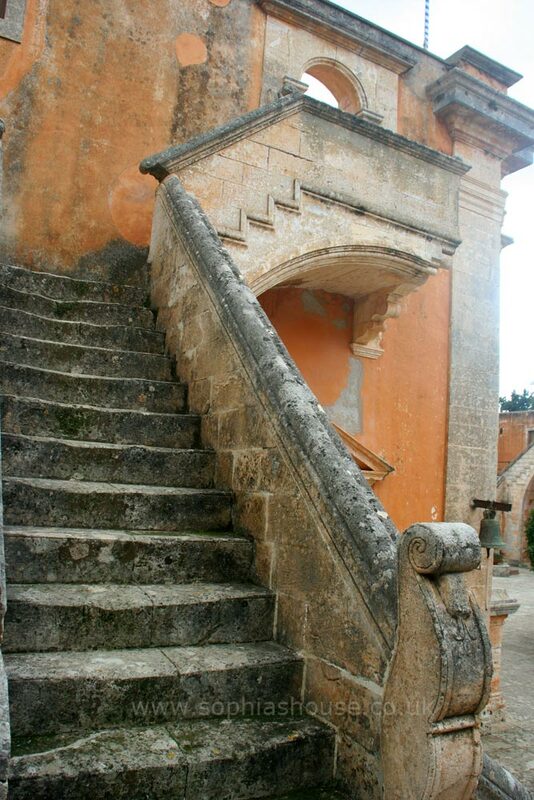 (You may need to rest partway up!). 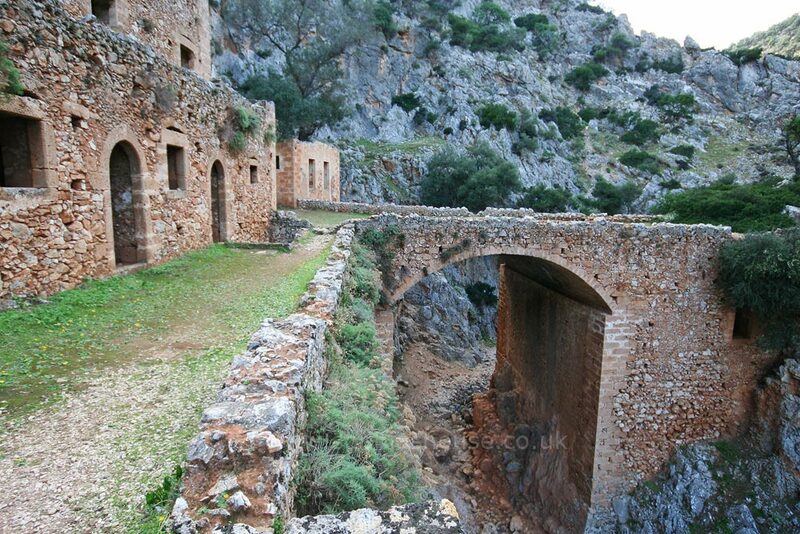 And don’t forget to take plenty of water with you, its nice o sit on the grass covered bridge at the bottom and have a picnic. 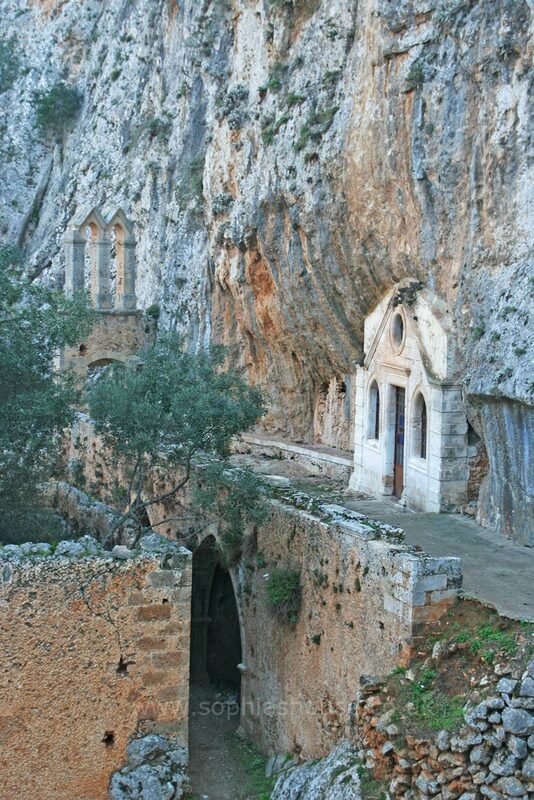 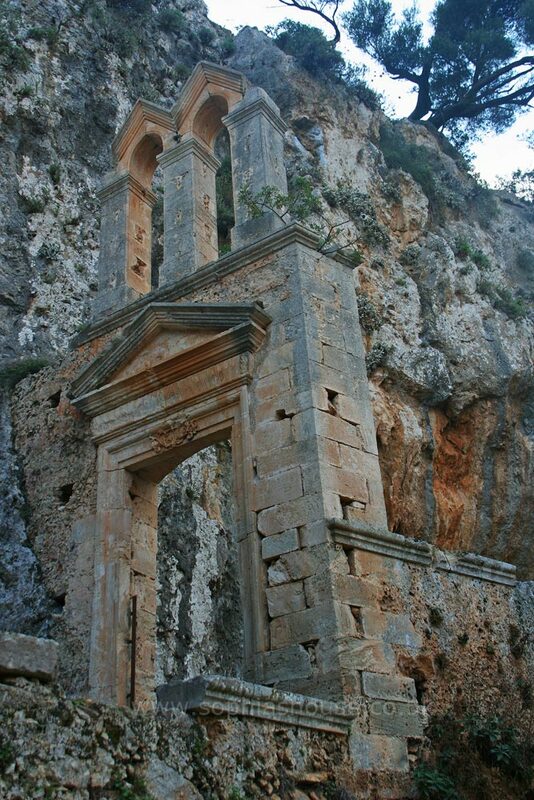 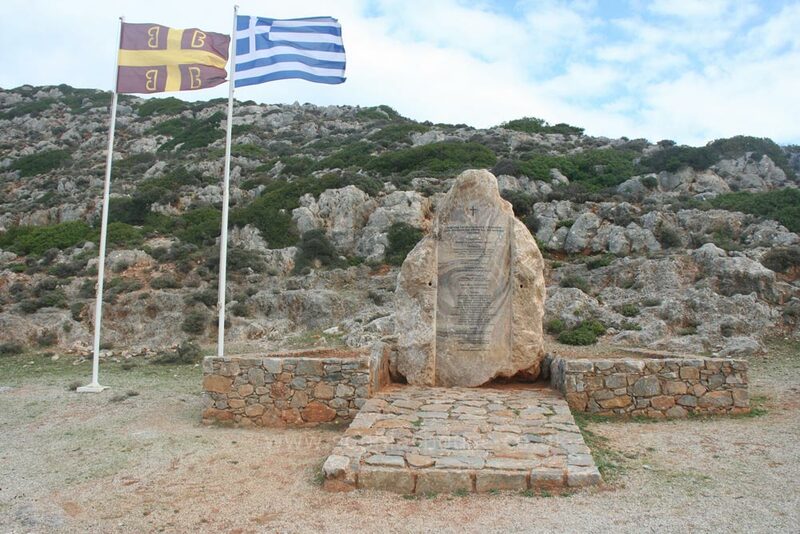 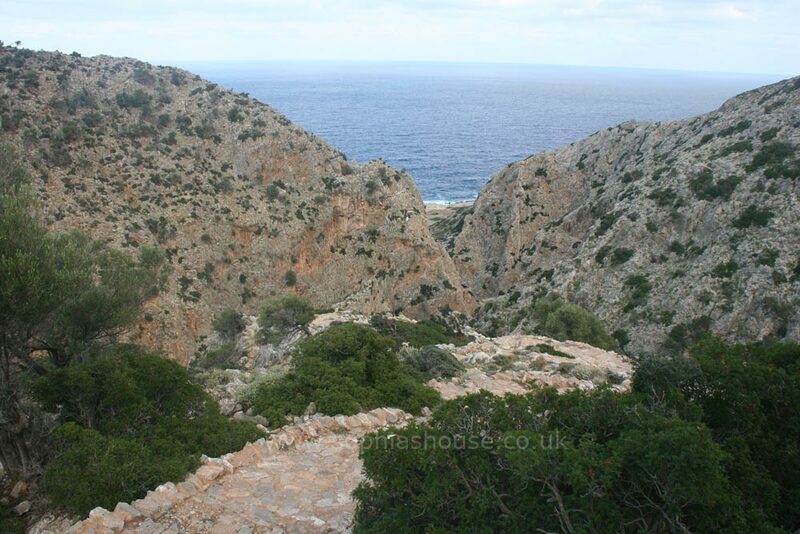 After walking for 15-20 mins, you approach a little wooden gate; pass through the gate and into the mouth of the “Cave of the Bear”, Arkoudospilios, where you see the little chapel dedicated to the Presentation of Christ in the Temple. 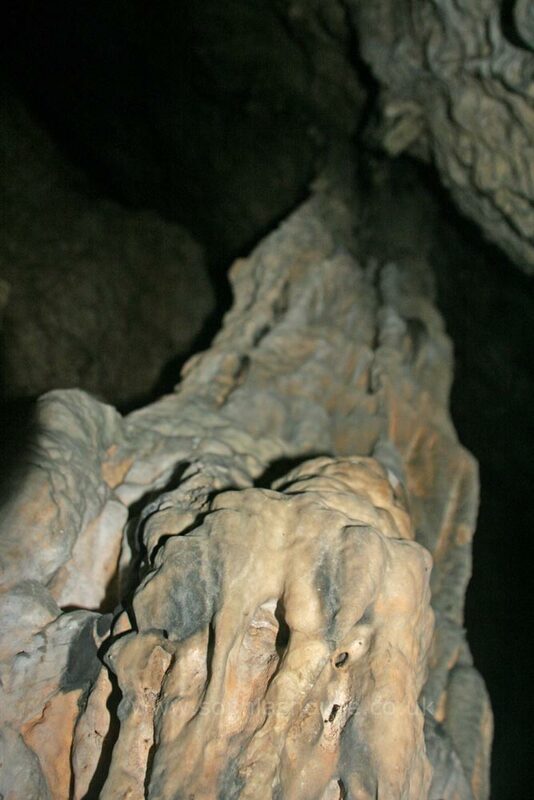 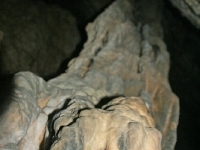 As you enter the actual cave, your eyes become adjusted and you notice the big hulk in the centre, this is a huge stalagmite that actually resembles a huge bear. 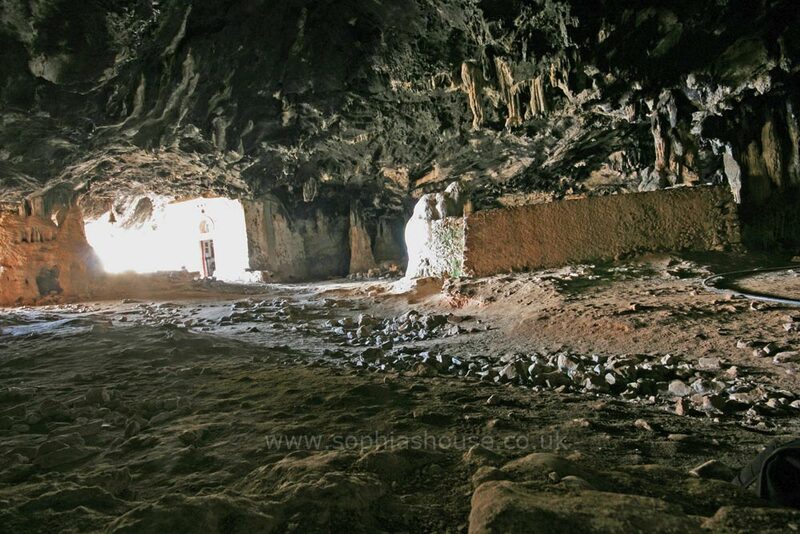 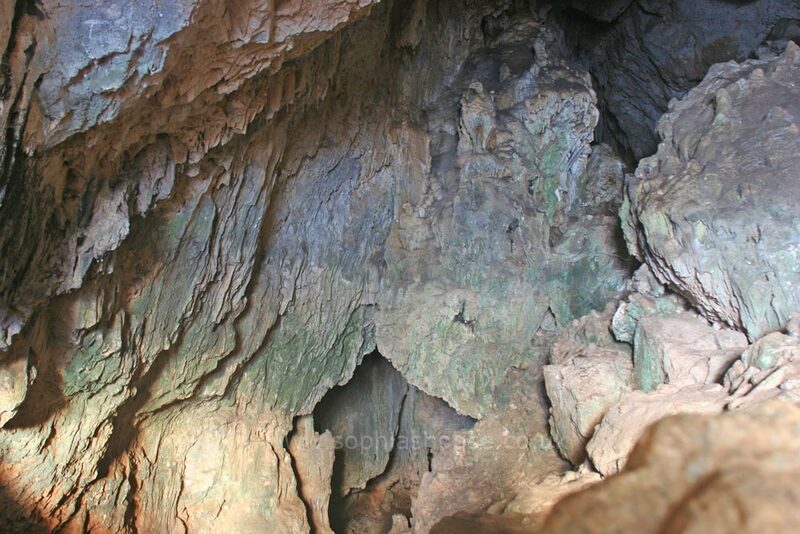 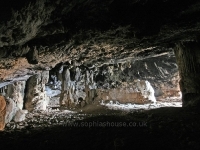 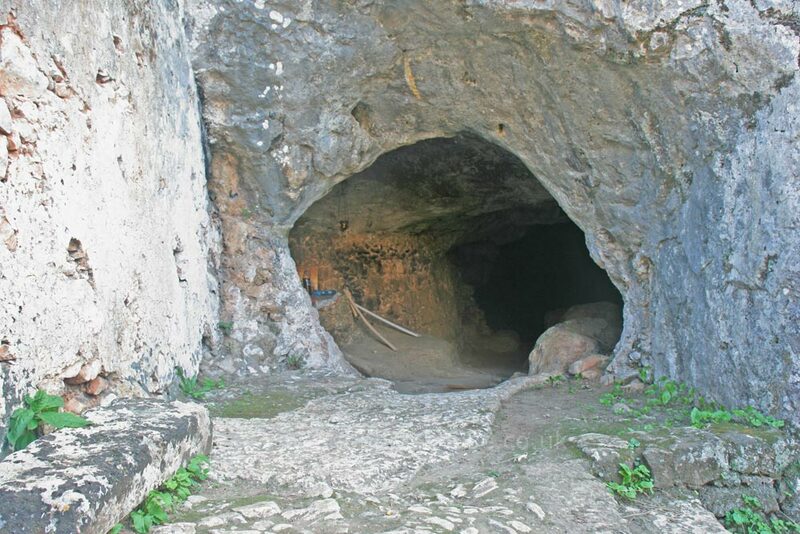 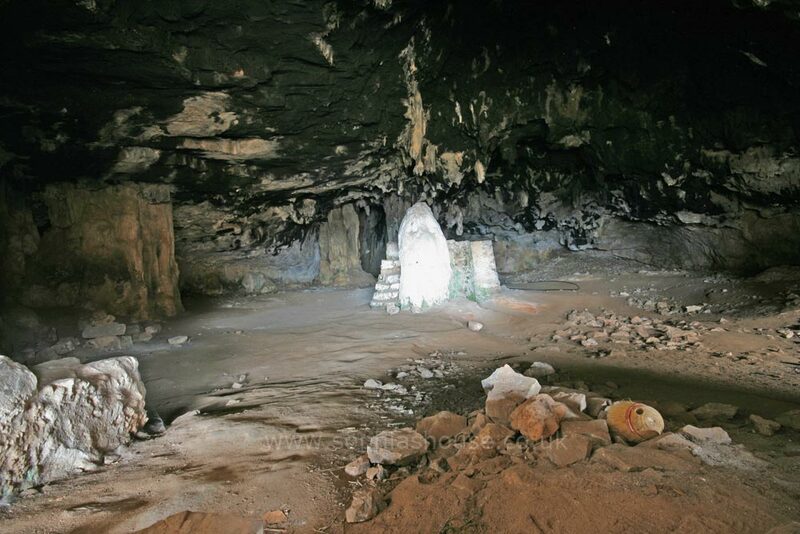 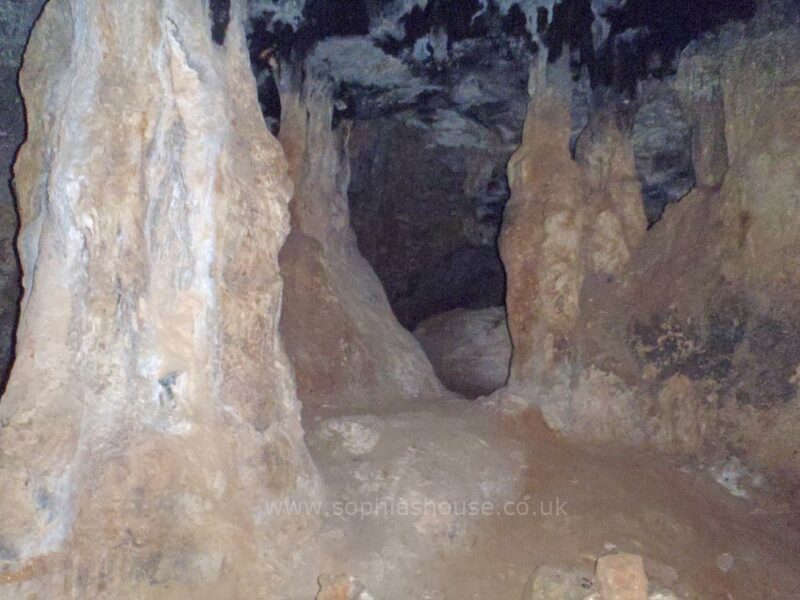 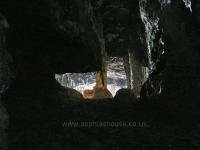 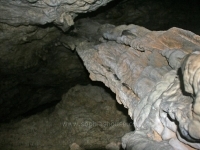 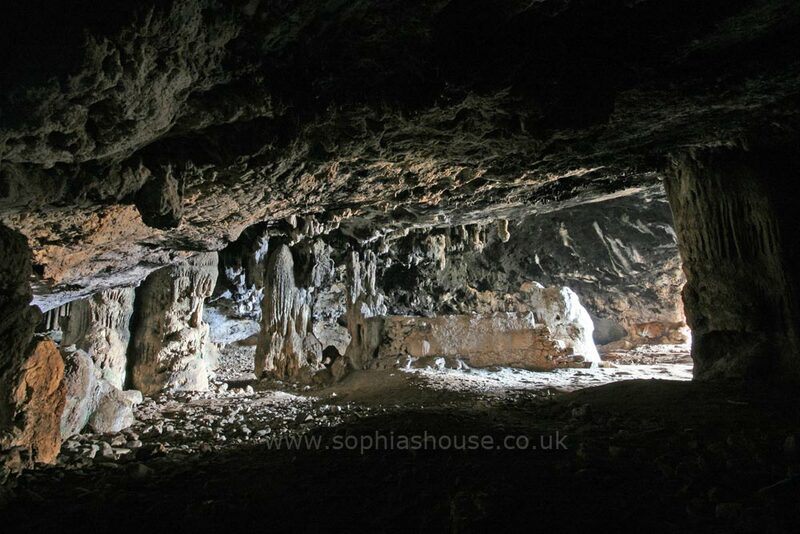 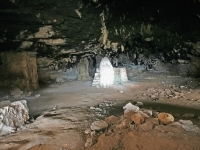 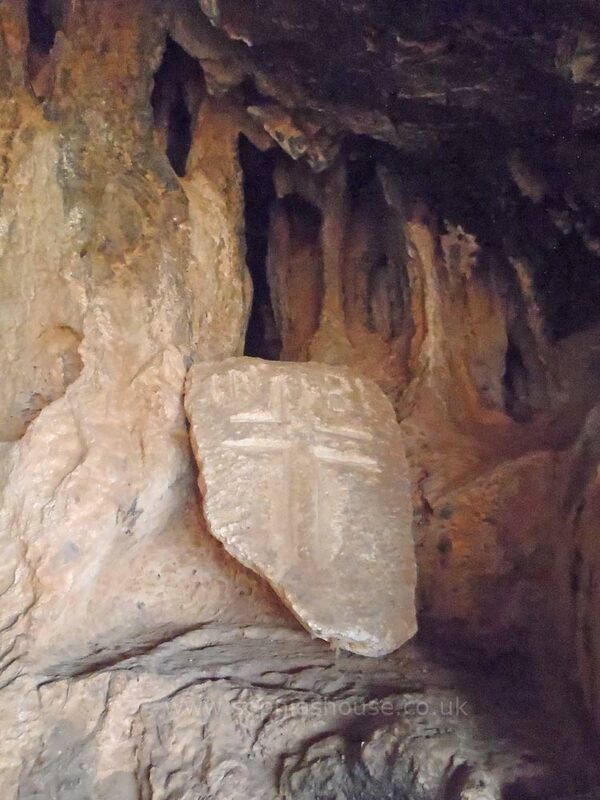 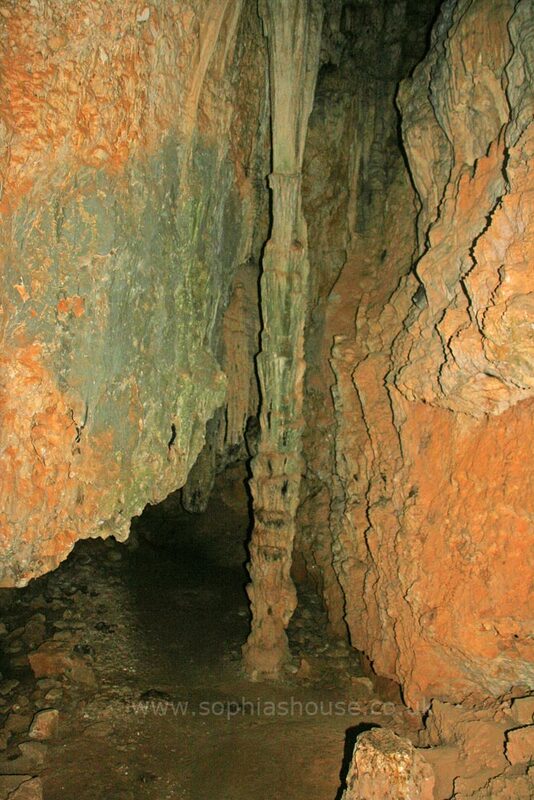 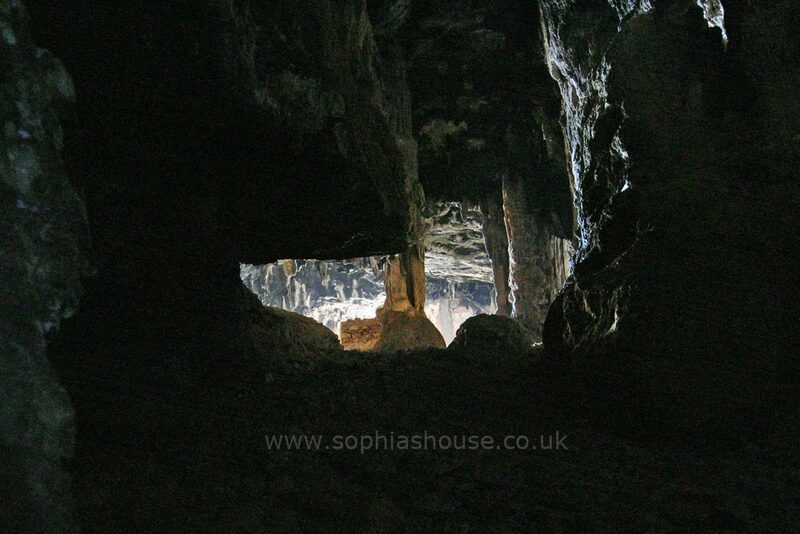 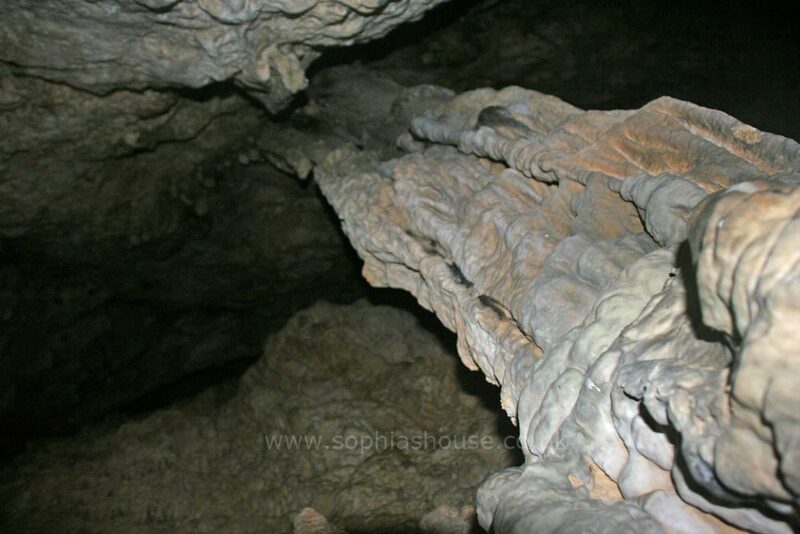 This cave has been used as a place of worship for thousands of years; there are inscriptions to Artemis and Apollo. 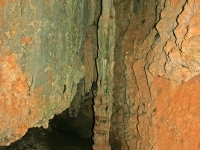 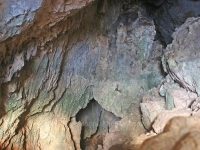 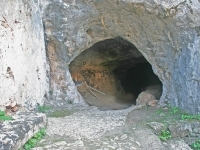 Artemis was worshipped as a bear by the Pelasgians, hence “Cave of the Bear”. 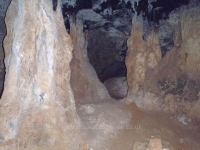 Local legend tells of a great bear that lived within the cave, the bear drank water that dripped from the stalactites and formed pools n the rock. The monks, who had nothing to drink and were very thirsty, began to pray to the virgin for help, she heard their pleas and turned the bear to stone where he stood. 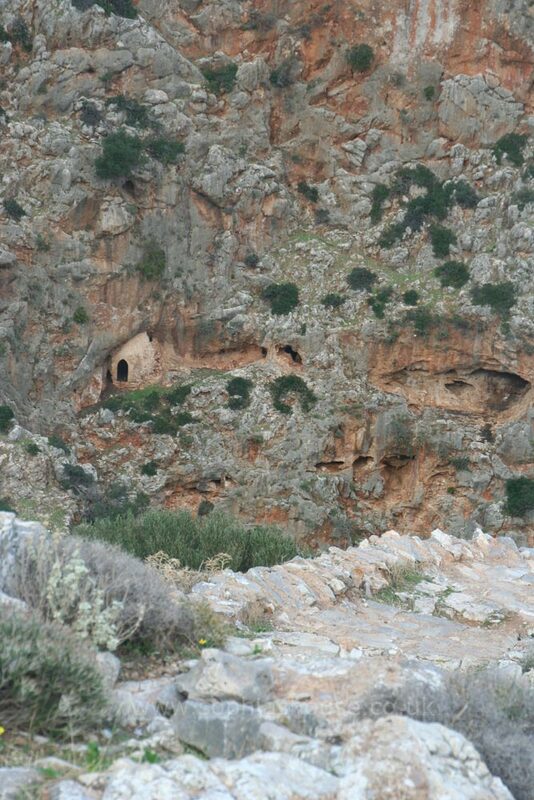 Keep following the path as it descends, steeply and twisting down the side of the Avlaki gorge, walk to the bottom of the flight of steps, cut into the rock is a small, deep, narrow cave used for worship, (we took pictures in here and found scary faces in the rock!). 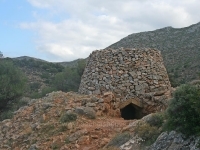 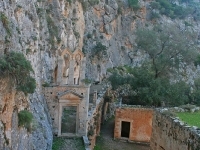 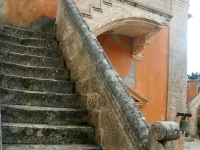 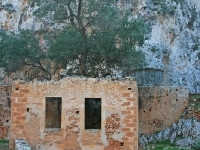 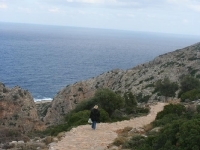 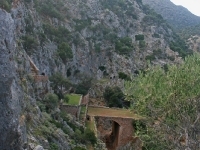 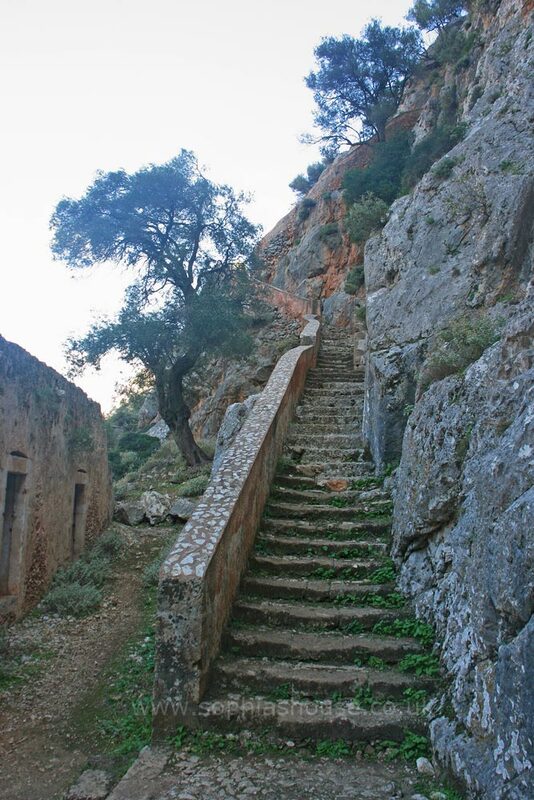 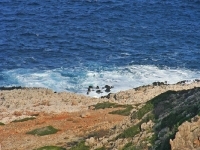 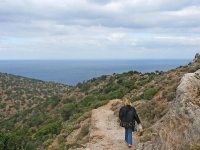 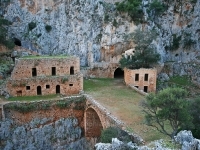 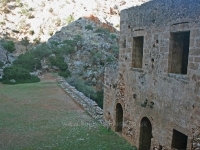 At the bottom of the last flight of steps are the abandoned “Katholiko Monastery” and the little church dedicated to “St John the Hermit”. 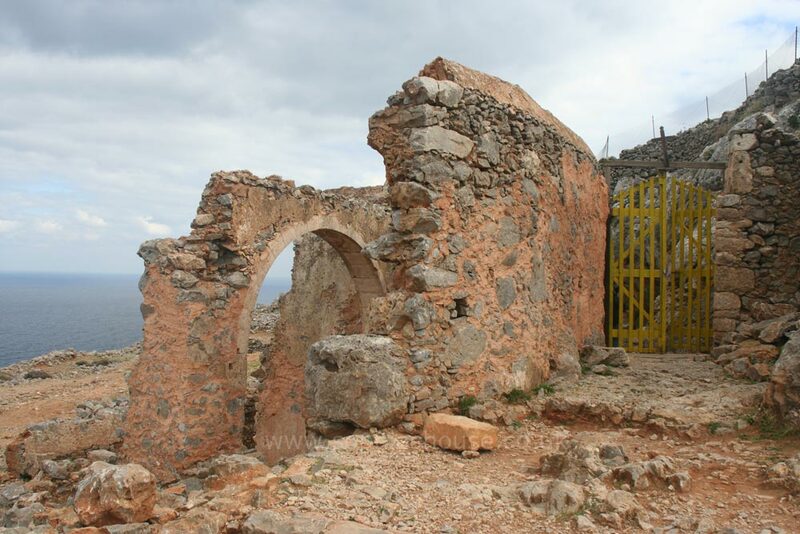 These are very isolated monasteries and were abandoned as a result of repeated attacks from pirates. 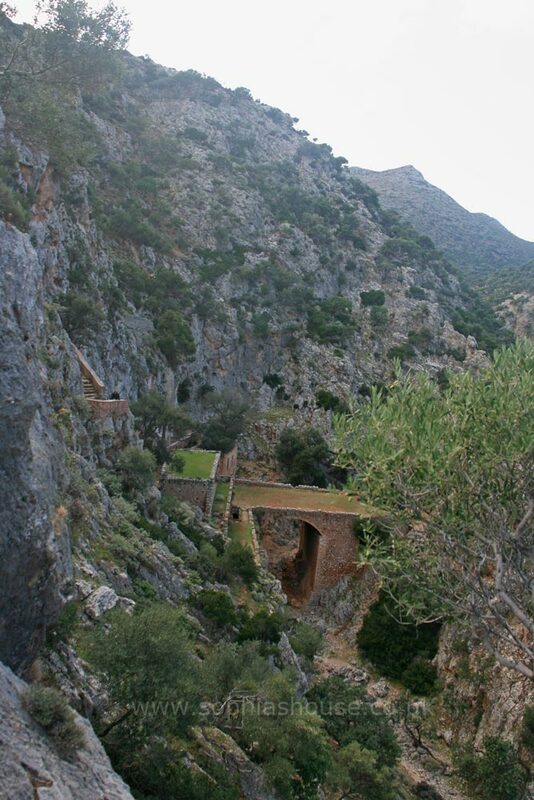 There is a bridge spanning the bottom of the gorge, we stopped here and had a picnic, then ventured on towards the little sea cove that was previously used as a harbour, the clear cool water looked really inviting but time was getting on and we had to climb all those steps back to the top, we rested a couple of times on the way up, it wasn’t too bad! 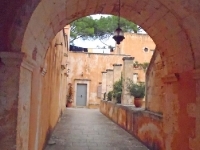 I will definitely do this visit again.